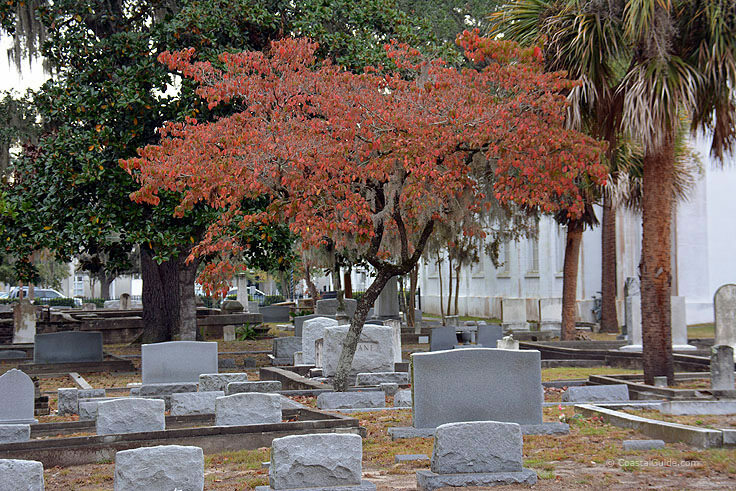 With a long history of attending to community needs that's literally older than the country itself, the site of the church and the accompanying graveyard is a must-see for visitors of all denominations who want a historical perspective of Beaufort's original roots. The church was established in 1712, just a couple short decades after the initial English explorers landed, and was established as the Parish Church of St. Helena. This first parish was originally affiliated with the Church of England, a relatively new branch of Christianity that was founded by Henry VIII in the 1500s. Construction of the chapel commenced in 1724, with this first structure undergoing a re-build in 1769, and again in 1817. Despite this attention to repairs and remodels, the church was demolished to the ground in 1842, (with the exception of the western extension), to make room to expand the church on the northern and southern ends. This grand extension would end up benefitting the Union Army during its occupation of Beaufort, as the army used the large centrally located structure as a hospital, reportedly using slabs from the neighboring graveyard as makeshift operating tables. Well after the war ended, the church resumed its former use as a place of worship, with the tower extended in 1942. Clearly, the church itself is historic, but the neighboring graveyard also has its own local distinction. Built in 1724 as well, one of the first local community members interred in the famous cemetery was regional legend Colonel John Barnwell, best known as "Tuscarora Jack," who passed away the same year. Other notable figures at the adjacent cemetery include two British officers, killed in a skirmish near Port Royal during the American Revolution, and two Confederate Generals, Lt. General Richard H. Anderson and Brigadier General Stephen Elliott. Both the church and the graveyard, sheltered by the region's abundance of Palmetto trees and Live Oaks, are open to visitors, and the church is open to regular parishioners and newcomers alike for Sunday morning services at 8:00 a.m. and 10:15 a.m., with contemporary evening services held at 6:00 pm. When it was first built in the early 18th century, the initial coastal South Carolina church fulfilled a number of roles, and essentially served as a community outpost for both religious and political affairs. These services included issues related to the construction of roads, the availability of education, the poor and regional orphans, and even voting and tax collections. Today, the church is still seen as a vital institution in the region, although its work has veered from the political realm, and has simply been dedicated to serving the local Beaufort community. St. Helena's Episcopal Church regularly hosts music and theater performances, art auctions, Christian "ladies nights," bible groups, and other special events that aim at getting the community involved with the historic parish. More information on upcoming events can be found at the church's website, at http://www.sthelenas1712.org/, and visitors can always call the parish directly with specific questions at (843) 522-1712. Open to all visitors, the historic church with interior white pillared columns and a downright majestic exterior is sure to inspire parishioners from all regions to join in the regular celebrations. 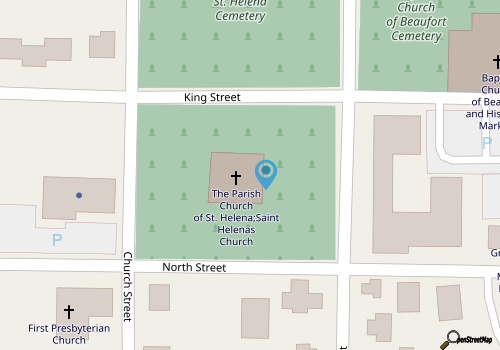 The church itself is located along the appropriately named "Church Street," which is in the southern heart of the downtown region, just a block or two away from the Beaufort River waterfront. Beaufort visitors strolling through the historic Downtown area are encouraged to pause and take a moment to marvel at one of the country's oldest churches, the St. Helena's Episcopal Church. This grand landmark which has a long history of being a local institution is sure to make any new Beaufort visitor pause and take notice. 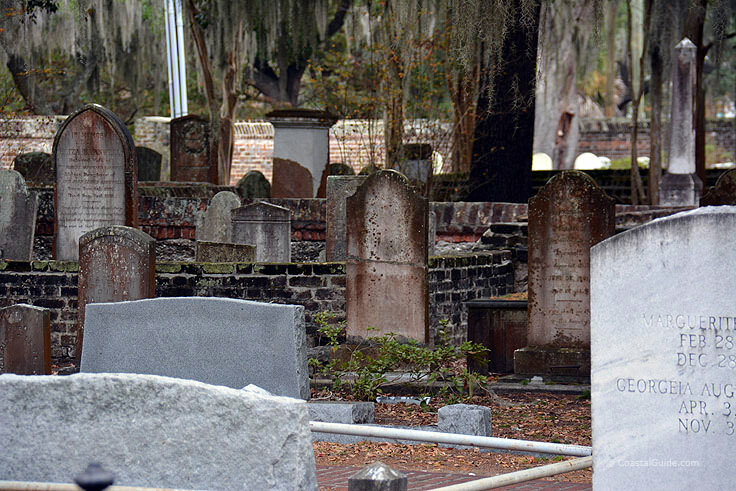 Bring a camera to capture the expansive exterior, and take a somber stroll along the neighboring graveyard with headstones and markers dating back to the mid-1700s, and garner a deeper perspective into Beaufort's surprisingly long history as a southern leader in the New World.